Nowadays the market offers many facilities that is why most of people when travel, prefer to rent a car because it is more comfortable; there are no inconveniences in getting up early to take the bus or go to the airport, because the vehicle is ready for you in the parking lot, it allows people to move to different places without having to worry. In this case we will help you with the necessary amenities. Costa Rica is an interesting place for tourism. It is visited both by foreign and domestic tourists, practically in every corner of the country, so vehicle rental demand is ever increasing. Costa Rica terrain is quite unstable. It has several forms; elevations, steep slopes, plains, mountains. We offer you a vehicle that meets the needs of the terrain where you are going to pass by. It is s a very comfortable and strong vehicle for these roads, very economic, It is one of the most popular vehicles and used by many tourists in the country. Despite of being a small car, it is high enough to pass through complicated paths. It is quite similar to the Daihatsu and its comfort features are desired by all tourists. This kind of car is special for traveling on flatter ground, long hours of road or in cities, a sense of comfort and range of space, so that people who travel in this car will notice the quality. If you are more demanding and you like the comfort. 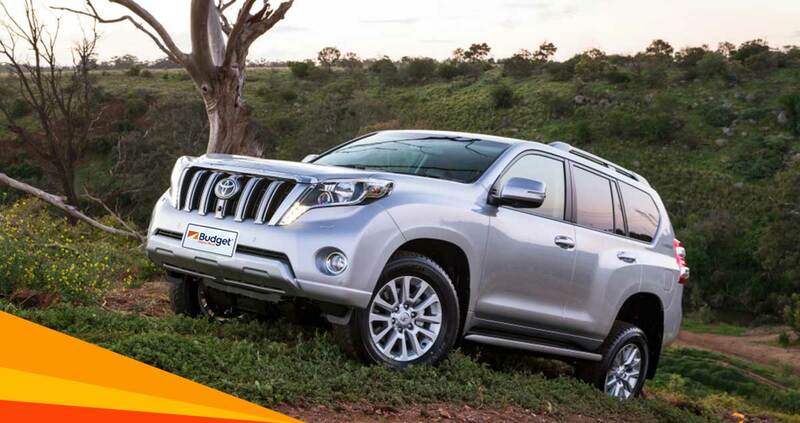 Premium Toyota Prado 4×4 is the best choice for you. It has space for seven passengers, 3 large and 2 small suitcases. It is vital when you rent a car you analyze certain points, such as: which route you will take, how many passengers you will be, the kind of luggage you will bring, the type of fuel used by the vehicle, if you plan to travel long distances or difficult terrains, among other aspects in order to choose the most appropriate vehicle. It is also important that the company where you rent a car can provide you the most suitable option, taking into account your destination. Do not worry about it because in Budget, we will be more than glad to help you. We are completely certified.